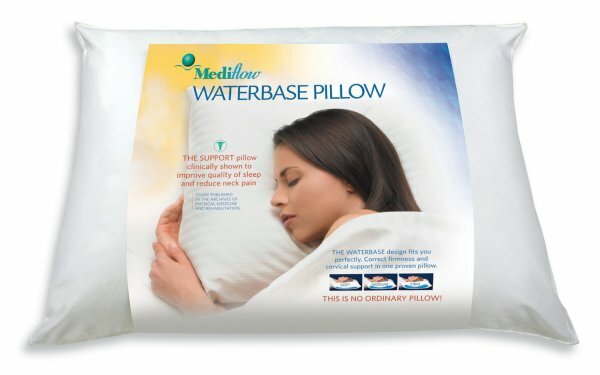 I received a complimentary Mediflow Waterbase Pillow. All opinions are my own. Do you suffer from neck pain? If so, you know how hard it is to find the right pillow to help you get a good night’s sleep. Let me tell you a little story (those keeping a tally of my random medical issues, get your pen out). Last year, I was talking on the phone when I felt a horrible pain in my neck. A real pain, not the person I was talking to acting like a pain. It was so weird and came out of nowhere! The pain was so intense, the worst I’ve ever felt. I also had a weird puffy lump in the spot that hurt. I went to the hospital. We don’t have the best hospital in the world. They diagnosed me with a bug bite and sent me home, still in excruciating pain. Turns out I had a pinched nerve. A year later, it’s still there. Not as bad, but still causing pain. I also have some not-quite-herniated disks in my neck. Whatever comes between bulging and herniated. I can’t remember the medical term. It hurts, that’s all I know. It also makes sleep difficult! Jacob modeled the Mediflow Waterbase Pillow for me so well that he almost fell asleep for real! The Mediflow Waterbase Pillow is sort of what it sounds like: a pillow with a water base. The top layer of the Mediflow is a high-quality comfy hypoallergenic pillow with polyester filling. The bottom layers are where the magic happens. When you get your pillow, follow the directions to fill up the base with water. You can adjust the firmness of the pillow by putting in more or less water. I prefer my pillow firm with a little give. Make sure you use the enclosed tool to screw the cap on tight! Then prepare for the best night of sleep! The first night I slept on the Waterbase Pillow was probably also the first morning I didn’t wake up with a stiff neck. I was so used to waking up in pain, it was kind of surprising! Granted, a happy surprise! Throughout the night, as you move back and forth, the pillow automatically adjust to your head movements. It makes sense, really. It’s like how water adjusts to your body when you’re swimming or relaxing in the tub. Also, because the water in the Mediflow Waterbase Pillow adds heft to the overall pillow, it stays put throughout the night. I have a gap between my bed and the headboard. I’m always losing pillows down that gap! So I’d wake up in the middle of the night with my head at an odd angle, trying to yank my pillow out of the gap. With the Mediflow, I never have to deal with that. My pillow stays where it starts. 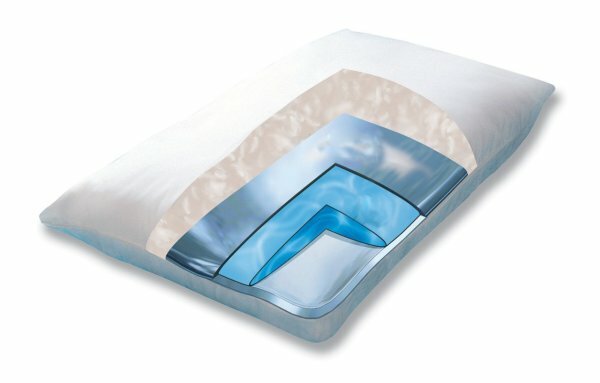 I’ve been using my Mediflow Waterbase Pillow for about a month or so now. Since using it, I haven’t woken up with a stiff neck once. I’ve also experienced significantly fewer morning headaches. The headaches I have experienced were due to medications, not my sleep experience. If you suffer from neck pain, I strongly recommend trying the Mediflow Waterbase Pillow. I’m so grateful for that I can finally rest comfortably! Visit the Mediflow website to learn more. Buy the original Mediflow Waterbase Pillow on Amazon for $39.99, or get the Elite version exclusively at Bed Bath & Beyond (or as my son calls it, Bed Bath from the Beyond). Check out Mediflow on Facebook and Twitter to keep up with news. I love that it helps your neck. I like that this pillow is filled with water, and that I can adjust the firmness with the water to what I like. This is awesome because it makes me have a comfortable night sleep. I wake up everyday with neck pain .You can adjust the firmness of the pillow by putting in more or less water. I like the fact that this water pillow will help with neck pain . I hope I win . I like how you can adjust the firmness of the pillow with water,and how it adjusts to your movements,I am one of those people who toss and turn a lot until I can go to sleep so this is great. I like that the Mediflow®’s pillow can be adjusted to a perfect firmness for the shape of your neck. i like that you can control how soft or firm it is by adding more or less water! I love that you can adjust the firmness of the pillow. Waking up in the morning with a pain in the neck is an awful feeling. When you wake up with neck pain, it is usually because slept with the wrong pillow. 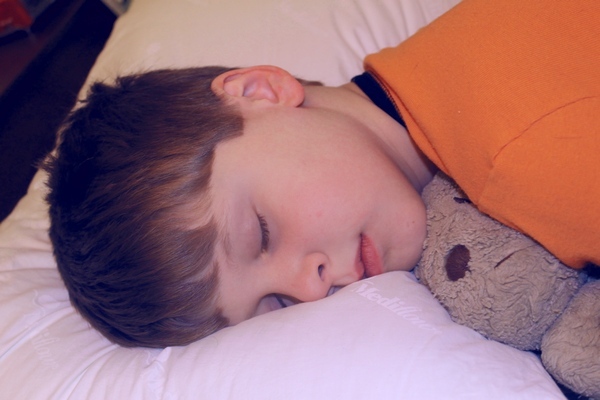 Having the right pillow to avoid neck pain is a vital necessity for getting a good night’s sleep. I just love this pillow. It’ll be very helpful for my neck. Thanks a lot for sharing. I agree with your tips on causes. For me, I think it’s definitely from too much time hunched over at my desk. Ice helps a lot.